In 1979, upon receipt of a Killam fellowship from Dalhousie University in Halifax, the German-born environmental activist, author, and expert on the Law of the Sea Elisabeth Mann Borgese moved to Canada. Because of her outstanding knowledge in the field, she received a professorship in Political Science. 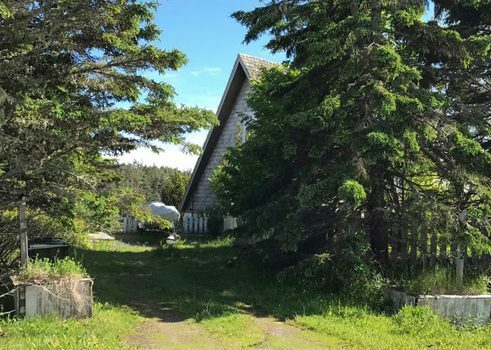 She chose to make Nova Scotia her adopted homeland for many years, and she became a “guest who stayed forever”, as she liked to say it. Her interest in the protection and peaceful use of the world’s oceans was a constant through her career. In addition to her work at Dalhousie University, where she taught the Law of the Sea to Bachelor’s and Master’s students, she founded an independent world commission for the sea, which functioned as an organization with UN observer status. She travelled around the world, organized conferences, raised funds for her projects, and was engaged in projects like the founding of the International Ocean Institute, which today is part of a worldwide network with 25 centres. 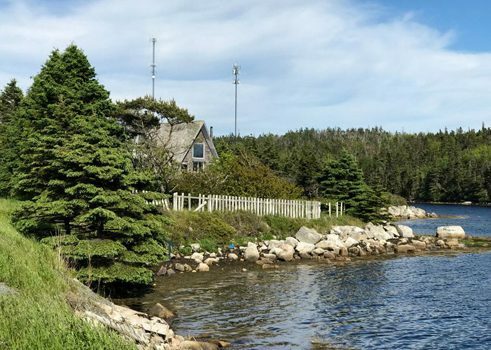 She enjoyed inviting visitors to her house in Sambro Head, which offers a beautiful view of the sea, and she got inspiration for her work from the environment and the people. Throughout her career, she received accolades in Austria, Germany, Great Britain, China, Colombia, and Canada. She had citizenship in a total of four different countries and had five honorary doctorates. After her death, she left behind a diverse collection of literary texts, as she authored magazine articles, books, short stories, plays, and poetry. The material is archived in Dalhousie University’s Killam Library, and today it provides the basis for a variety of research projects. Elisabeth was born in 1918, the youngest daughter of the German author Thomas Mann, who won the Nobel Prize in Literature. Elisabeth spent the majority of her childhood in exile together with her five siblings. Shortly after the National Socialists (Nazis) came to power in Germany, Thomas Mann was stripped of his title of honorary doctor at the University of Bonn. The family moved first to Switzerland, and then to the United States, where they got American citizenship. In 1939, Elisabeth married G.A. Borgese, a professor of Italian literature at the University of Chicago who was 30 years her senior. They had two daughters together, and shortly after they moved to Florence in 1952, Elisabeth's husband died unexpectedly. A few years later, she received a job offer from an old American colleague, Robert Hutchins. He offered her a position at the Center for the Study of Democratic Institutions in Santa Barbara, which she accepted. She moved back to the United States and took over the leadership of a three-year project, culminating in the conference "Pacem in Maribus" ("Peace in the Oceans") in 1970. The topics of the conference were related to the peaceful use of the oceans, seeing the oceans as humanity's common legacy. The view of the Atlantic from the Halifax harbour can remind pedestrians of the “Mother of the Oceans”, her work, and her incomparable commitment to protecting our world’s oceans.